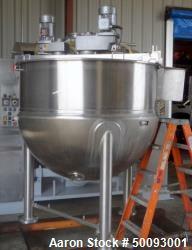 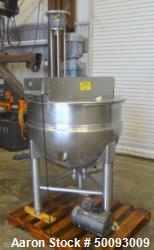 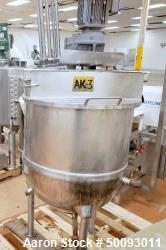 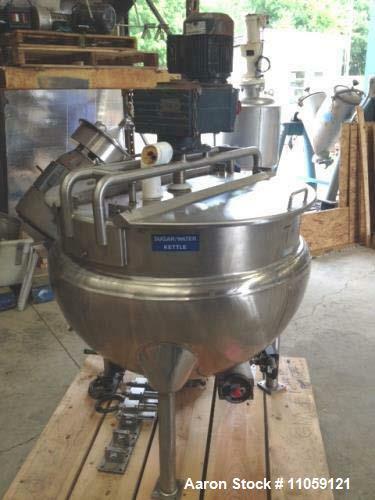 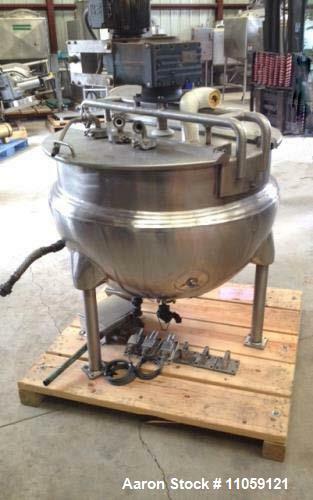 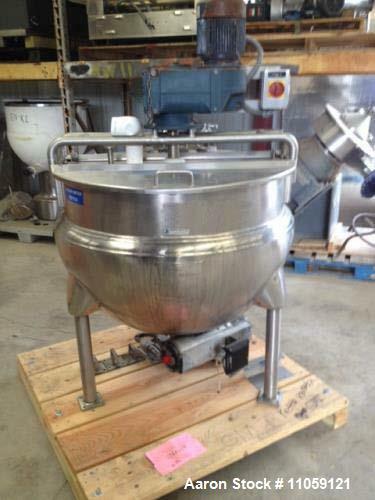 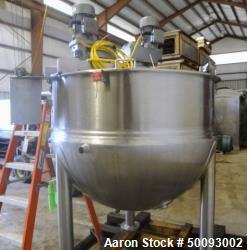 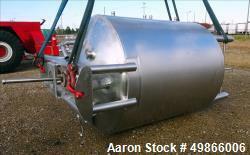 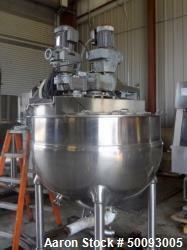 Used- 100 Gallon Hamilton Jacketed Mix Kettle. 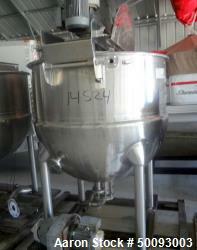 Style SA. 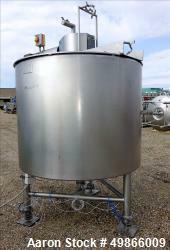 Sweep mixer with scraper blades driven by 2 hp, 230/460 volt, 3 ph, 1720 rpm motor into SEW gearbox rated 72.5:1 with 24 RPM output. 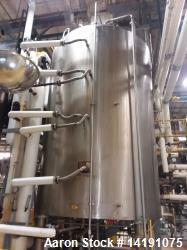 Jacket rated 40 PSI at 267 deg.F. 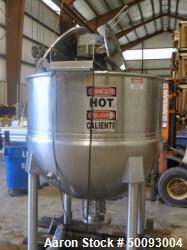 Includes load cells, (3) spray balls and air actuated ball valve on outlet. 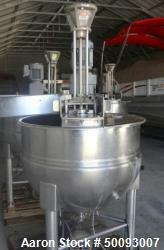 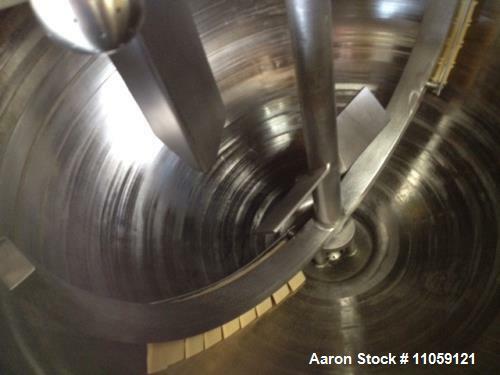 Last used in food plant in sanitary application.